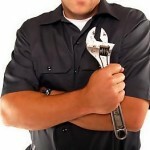 If you are looking for a highest quality San Diego Plumber then you have come to the right place. With over thirty years of plumbing experience Wallace Plumbing is uniquely qualified to diagnose and repair any plumbing problems. Whether you have a simple leaky faucet or a serious plumbing emergency, give us a call. We can help! Do you have new plumbing installation or do you need to renovate an old bathroom or kitchen? Wallace Plumbing has the experience and expertise to ensure that the job is done right. Below is a list of just some of the many plumbing installation services that we offer to San Diego.